I love Hostess Cupcakes. 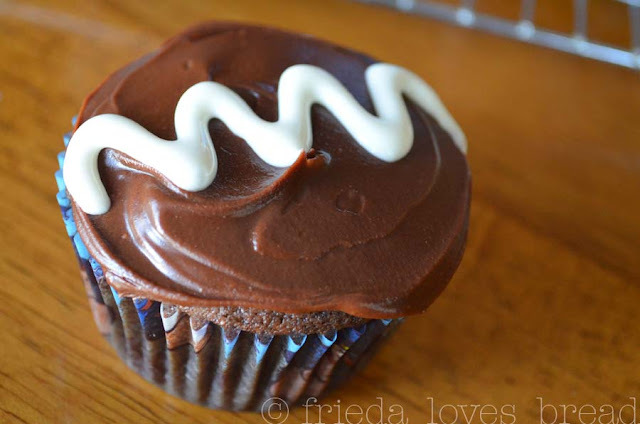 The chocolate ones. Don't tell anyone, but my favorite part is the frosting. I slowly and carefully peel it off .... and save it for last. Last is best, right? When ATK (or was it Cook's Country?) re-created this childhood treat of mine, I immediately bookmarked the recipe ... and forgot about it until now. 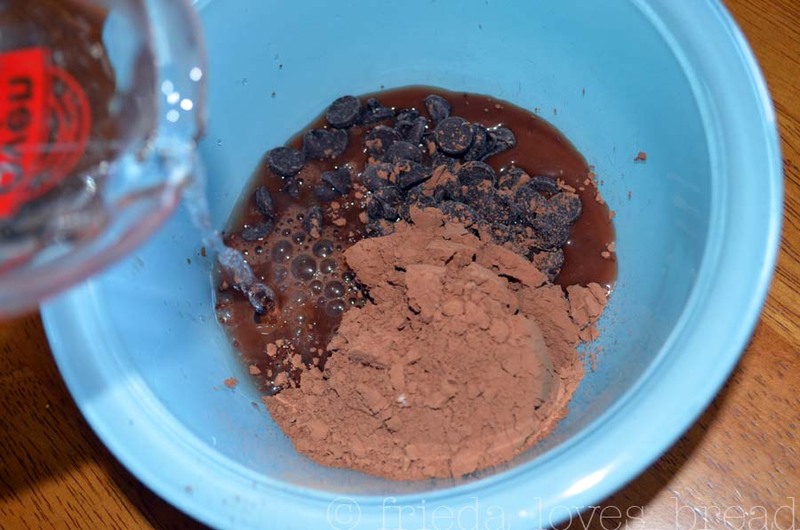 The cake batter comes together very easily: cocoa, semi sweet chocolate chips and hot water. I chose to omit the espresso powder. Next, sugar, sour cream, canola oil, eggs and vanilla are whipped together. 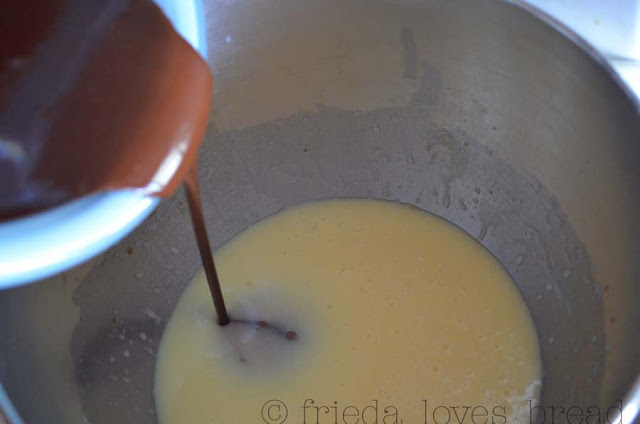 The chocolate mixture is poured in. Dry ingredients are added: all purpose flour, baking soda, and salt. That's it! 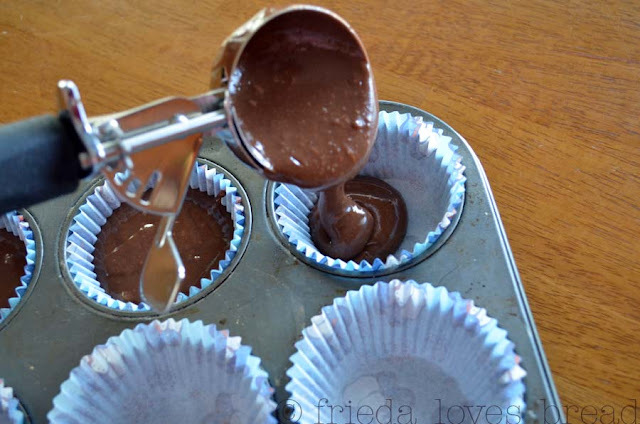 ATK greases the muffin tins and dusts them with flour. Welcome cupcake liners! 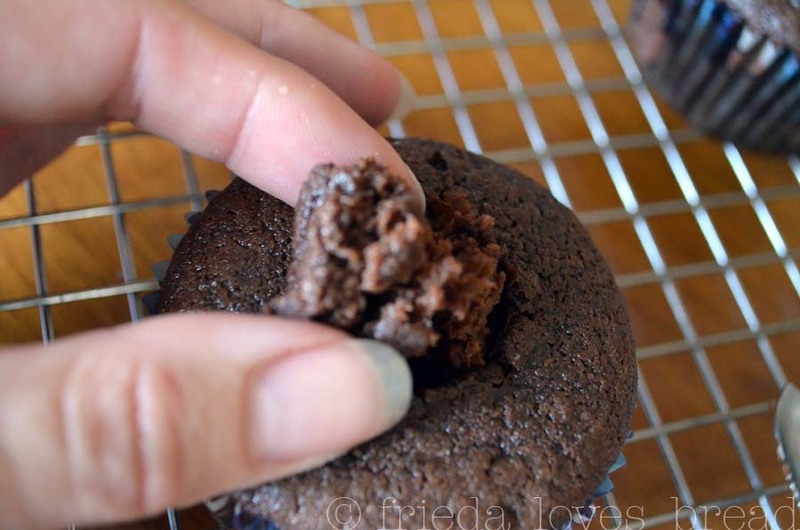 Oh, and a muffin/ice cream scoop comes in very handy (this one holds 1/4 cup) ... I am never sure what "2/3 full" really means! While they are baking in the oven, I get ready to make the filling. 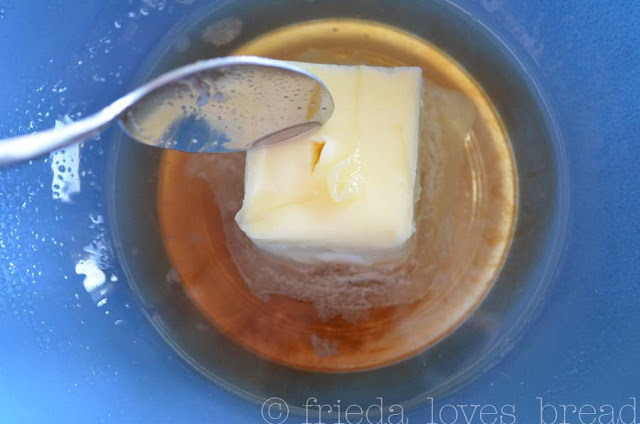 Water and unflavored gelatin are put into a microwave for 30 seconds. Butter, vanilla and a pinch of salt are added. 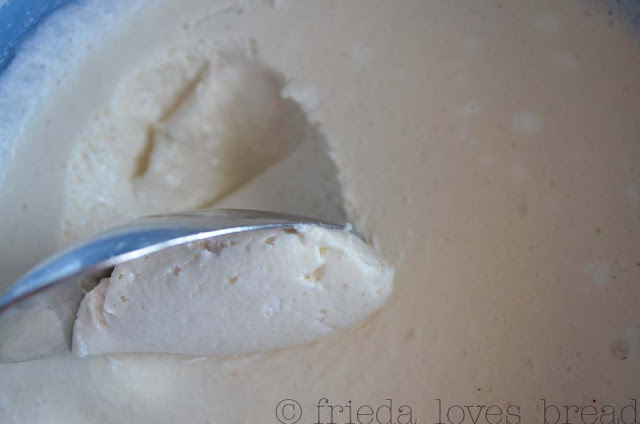 This is whisked smooth and put into the fridge to set up. I used an apple corer to make the hole in the cooled cupcakes. You could use a small serrated knife or a grapefruit knife. and piped the marshmallow filling inside. Only the top was put back on ~ not the entire "core" that was pulled out. I had a pile of crumbs that were left over, which I promptly ate. Mmmmmmmm....this is a very tender cake! 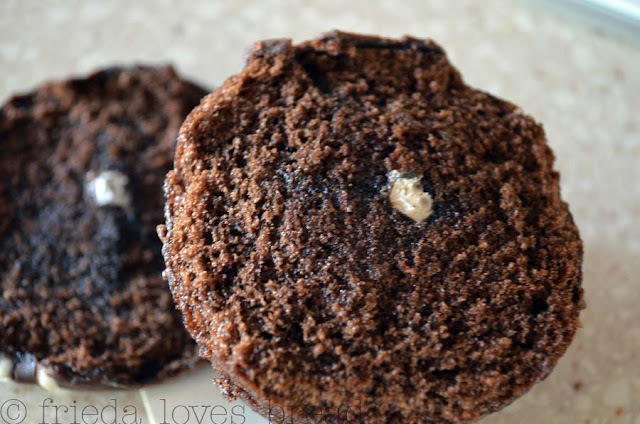 The frosting is simply semi sweet chocolate chips and unsalted butter, melted in the microwave. The recipe says to use the remaining 1/3 cup of marshmallow fluff for the squiggle design. I found it to be very runny and added powdered sugar until I got a piping consistency. This is one of my earlier attempt to pipe with a runny filling. Let's crack it open and see what's inside! Ooooooh... I'm getting excited ... feeling like a kid again! 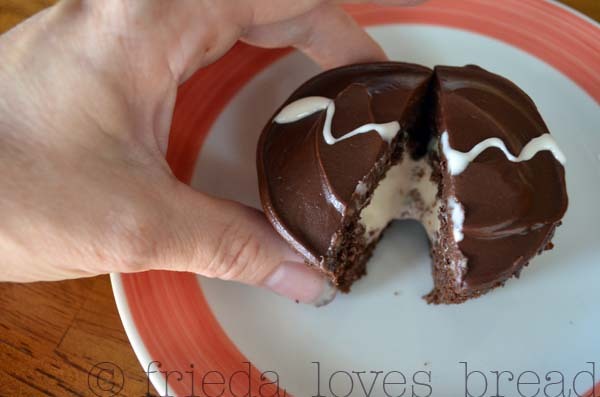 This is nothing like the Hostess cupcake that I remember. 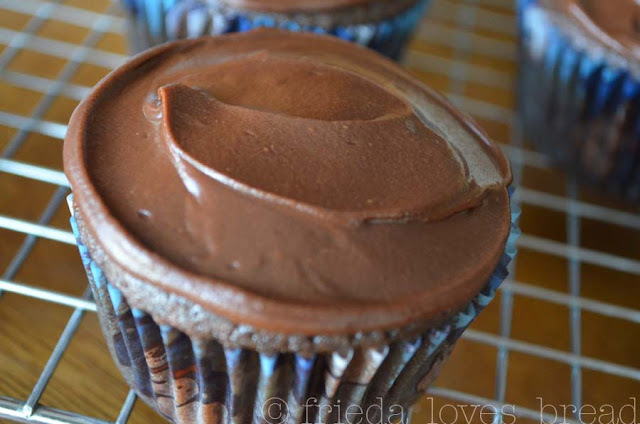 This cupcake is lighter, more tender, and the ganache is fantastic!! The filling became runny once I stirred it .... did it not "set" in the fridge long enough? Did I not cook the gelatin long enough? I checked the date on the marshmallow creme ... it had a "best by" date over two months ago. That must be it. Marshmallows change in texture and consistency over time, so NEXT time, I'm going to try a fresh batch of marshmallow creme. Or try a different filling recipe from other bloggers listed below. Did you know that you can freeze marshmallows? Yup! Yes, there is going to be a NEXT time ~ I got great reviews from the neighborhood taste testers!! The Sensitive Epicure has a GLUTEN free version....gotta check it out! Sugar Derby made these into Cupcake BALLS! Love these. 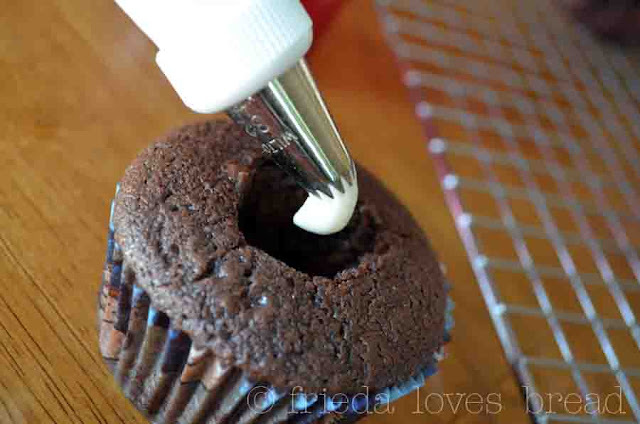 I like the tip about using an apple corer. 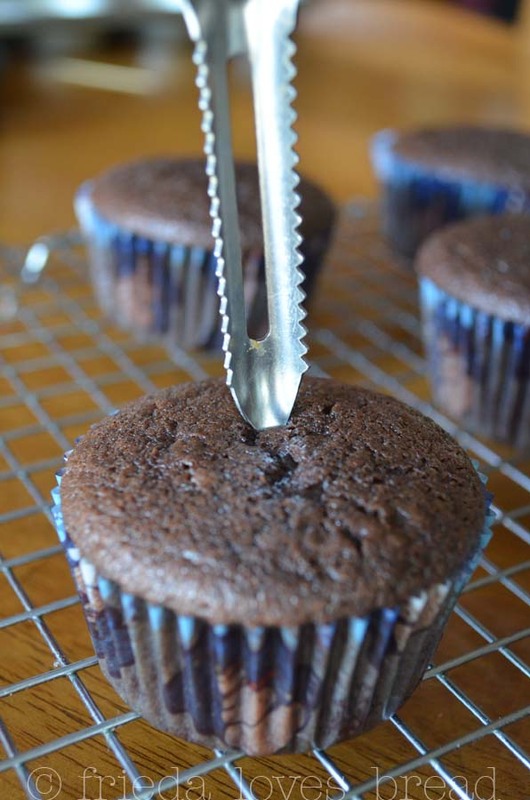 I don't like too many extra gadgets and haven't wanted to buy a cupcake corer so I just use a sharp knife but the apple corer makes so much sense. I have had this very recipe on my radar, for ages! I think it was Cook's Country that published this one. I hate my cupcakes exactly the same as you do. 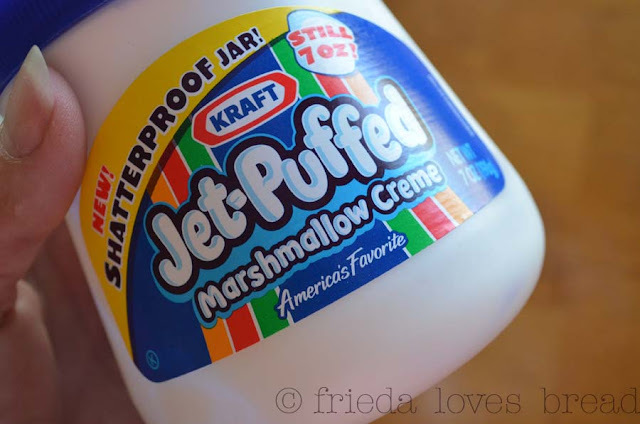 I'm holding out to make my own marshmallow creme filling. I also need to drop a few pounds, so I can break even when I eat these. These look super decadent, and I'm sure there aren't any unpronouncable ingredients in them. Beautiful job! Wow, I loved Ding-Dongs as a kied, but as an adult, not so much. I'll have to try these out! !